It has been found that foods tend to alter your mood but the exact reason as to how different nutrients affect the brain chemistry is not clear as yet. Nevertheless, it is believed that your diet does influence your mental and emotional health. For example, low levels of certain B vitamins may be associated with symptoms of schizophrenia and vitamin D deficiencies are linked with mood disorders. Moreover, depression is often associated with deficiency of folic acid and omega-3 fatty acid deficiencies. 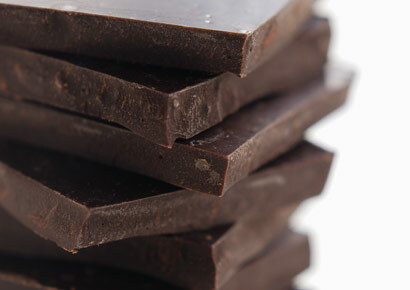 In addition, magnesium and vitamin B6 deficiency causes stress, poor memory, irritability, depression. Deficiency of vitamin B1 is likely to cause poor concentration. 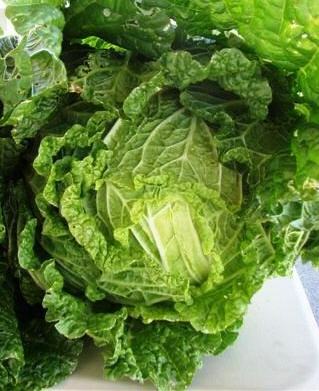 Green leafy vegetables, particularly mustard greens, tulip greens, collards, napa cabbage, beans, etc. are highly beneficial for improving your mood and fighting depression. They are loaded with vitamins, minerals, enzymes, and phytochemicals that give you energy and help maintain stable blood sugar levels. Fish oils are an excellent source of omega-3 fatty acids and derivatives that help reverse the effects of depression. Cold water fish, especially wild salmon, are considered good for relieving stress and uplifting mood. It reduces the chances of developing age-related cognitive decline and helps reduce mood swings. Similarly, walnuts, flaxseeds, sunflower seeds, and pumpkin seeds improve your mood and boost brain function. Omega-3 fatty acids prevent cardiovascular disease as well. Having a small amount of dark chocolate with over 70% cocoa content boosts serotonin levels and alters dopamine levels, thereby making you feel good. It is rich in magnesium which decreases muscle tension and promotes relaxation. They are rich in calcium, magnesium and omega-3 fatty acids. Hence, black as well as white sesame seeds have a mood-elevating effect. Thus, you can derive the benefits of this healthy food by simply by sprinkling sesame seeds on salad dressings or adding it in smoothies. This spice works as an effective mood elevator. It helps in the treatment of anxiety, stress, and depression. In fact, studies have shown that the antidepressant effects of saffron are comparable to antidepressant drugs fluoxetine (Prozac) and imipramine (Tofranil). Peanuts contain tryptophan, which helps the body generate serotonin. Researchers believe that an imbalance of serotonin tends to influence your mood, sleep, and cognitive function. Citrus fruits are rich in vitamin C that helps in the synthesis of serotonin and norepinephrine. These neurotransmitters affect your mood and metabolic rate. Cheese (contains amino acid tryptophan that generates mood enhancing brain chemicals) and cottage cheese, in particular, calm your nerves and cure anxiety. 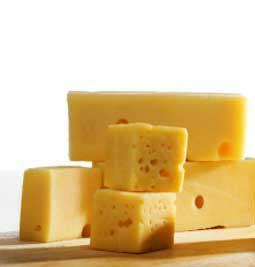 They are rich in vitamin B12, calcium, and phenylalanine. Besides, chilies give you a natural high as they help the brain release endorphins by stimulating a type of pain receptor. Vanilla ice cream, too, makes your body produce endorphins and reduces stress. Moreover, to maintain good mood, it is suggested that you do not skip breakfast. Having a proper breakfast in the morning also provides more energy throughout the day. Plus, eat every four to five hours to avoid sudden drops in blood sugar levels that make you feel agitated and fatigued. In addition, stick to whole-grain foods and restrict the consumption of refined starches (white bread, rice, bagels, etc.) because they digest easily and keep the blood sugar levels stable. Do not cut back on carbohydrates altogether, though. Whole grains such as wheat, barley, oats elevate your mood by boosting serotonin. Needless to say, keep your body hydrated by drinking adequate water throughout the day so as to avoid dehydration, which in turn, causes mental fogginess, headache, and fatigue. Modify your lifestyle to include regular exercise and physical activity in your routine. Exercising makes you feel better by boosting serotonin levels and regenerating neurons. St Johns Wort is a very good herb for depression and works well.It would also be worth tyrnig to find out what might be causing the depression.Maybe you could get a book on Cognitive Behavioural Therapy which would help you to understand all the different reasons why we can feel depressed and it would also show you new patterns of thinking and behaviour to help deal with your depression.The Feeling Good Handbook is one of the best books for this.